New ideas are the primary building blocks in attempts to produce novel interactive technology. Numerous idea generation methods such as Brainstorming have been introduced to support this process, but there is mixed evidence regarding their effectiveness. In this paper we describe an experimental, quantitative methodology from the domain of product design research for evaluating different idea generation methods. We present prominent results from relevant literature and new data from a study of idea generation in the wild. 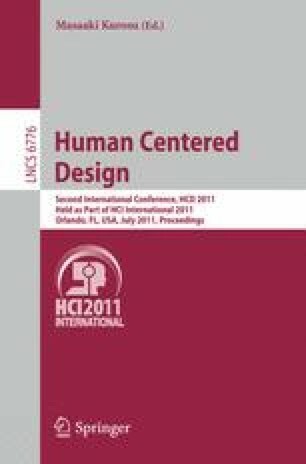 The study focused on the effects of the physical environment, or in other words, the physical context, on designers’ capacity to produce ideas. 25 students working in small groups took part in an experiment with two design tasks. Moving from an office environment to the actual surroundings of the intended use, we discovered that the change in resulting ideas was surprisingly small. Of the measured dimensions, the real-world context influenced only the feasibility of ideas, leaving quantity, novelty, utility and level of detail unaffected. This finding questions the value of diving into the context as a design idea generation practice.